Burkina Faso’s army killed 150 militants in response to an attack on civilians this week, but an international rights group said some were executed in front of their families. The army stepped up operations in response to worsening security across northern Burkina since last year, including attacks by Islamist militants and inter-ethnic clashes, leading to accusations of extra-judicial killings and arbitrary arrests. 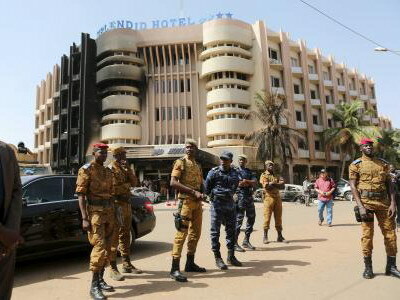 Rights activists fear abuses could fuel spiralling instability in previously peaceful Burkina as they have in neighbouring Mali, where jihadist groups have tapped into ethnic rivalries and anger with the central government to recruit. Violence in West Africa’s Sahel region, a semi-arid band below the Sahara, has alarmed former colonial power France and the United States, who deployed thousands of troops to the zone to counter al Qaeda and Islamic State-linked groups. Burkina government spokesman could not be immediately reached for comment. Government acknowledged some abuses in the past and pledged to take action. Corinne Dufka, Sahel director for New York-based Human Rights Watch (HRW), said some so-called terrorists were executed in front of families. “All groups: stop collective punishment,” Dufka wrote. She added HRW would soon publish a full report on atrocities by both jihadist groups and security forces in Burkina. Thousands of people fled their homes as a result of militant attacks and reprisals by the Burkinabe army, HRW said in a previous report.